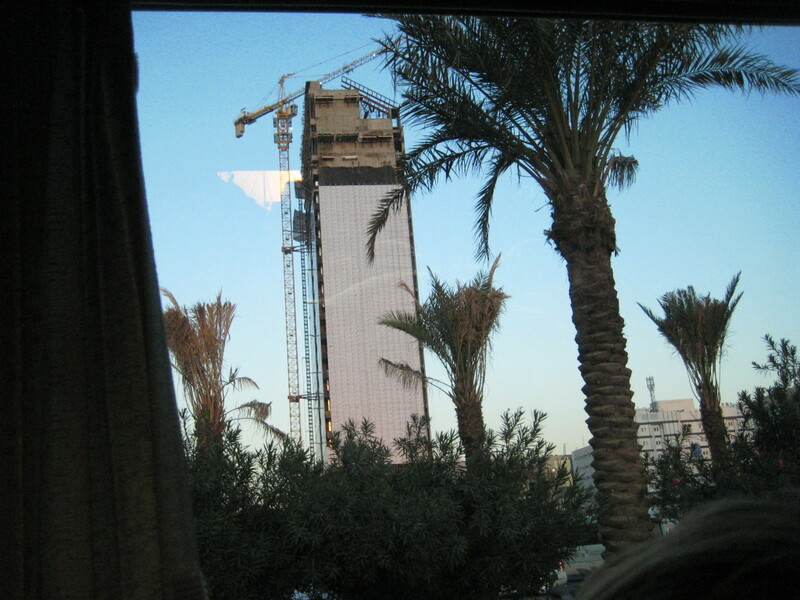 A sight as common in Riyadh as the towering skyscrapers and urban sprawl is that of massive construction projects and half finished buildings. Indeed, the skyline is perhaps as full of buildings in the process of being constructed as it is of finished ones. Everywhere you look, you can see construction crews busy at work building new infrastructure, new malls, new houses, and new skyscrapers. 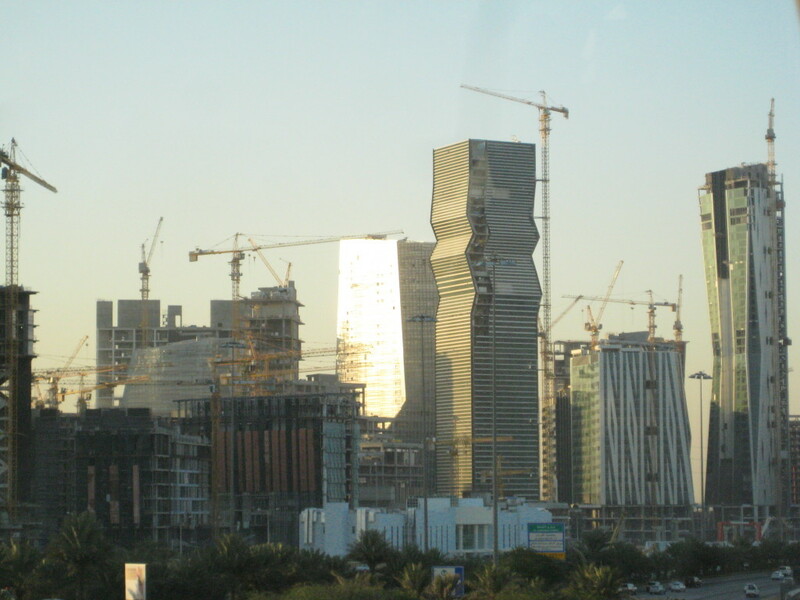 Riyadh is experiencing a massive construction boom, transforming the barren desert into a thriving urban center. Perhaps no other photo as clearly demonstrates the incredible amount of construction taking place in Riyadh as this one, which shows a huge development project underway near the downtown area. Saudi Arabia is like some of the other Gulf countries, which are experiencing their own rapid urbanization and construction boom. This is perhaps a testament to the vast amounts of wealth they have to use to spend on such projects and their desire to develop their small, rural communities into major cities with modern infrastructure and massive buildings. As these countries continue to expand in population and economic strength, the size and complexity of their urban centers will undoubtedly continue to expand as well. 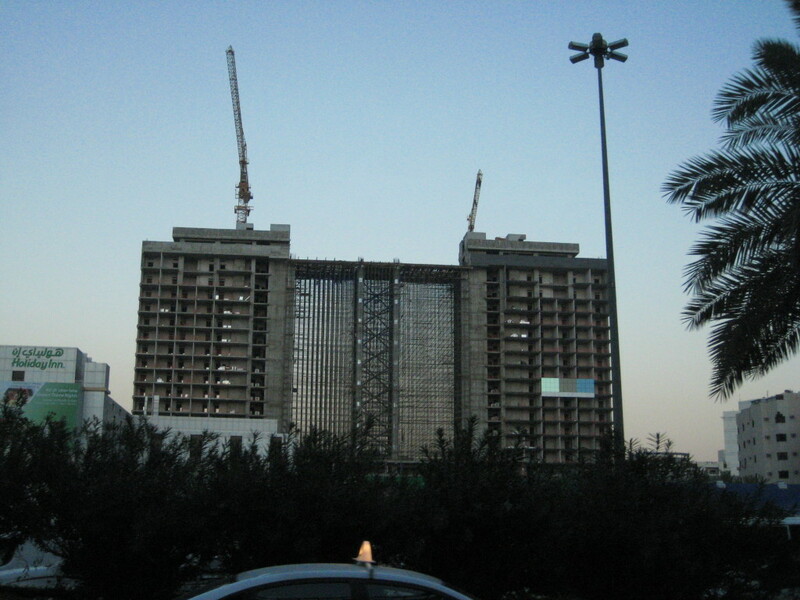 The sights and sounds of construction here in Riyadh provide ample evidence to this fact. Most of Riyadh is new, having been transformed into this massive city in only a few decades. This has coincided with a massive growth in population, from around only 150,000 people living in the city in the 1960s to the over 5 million inhabitants it has today. As a result, most of the buildings visible in the Riyadh skyline today are new, and their futuristic architectural designs and modern building materials demonstrate that. Many of these buildings will become commercial centers, reflecting the growing strength of the Saudi economy. 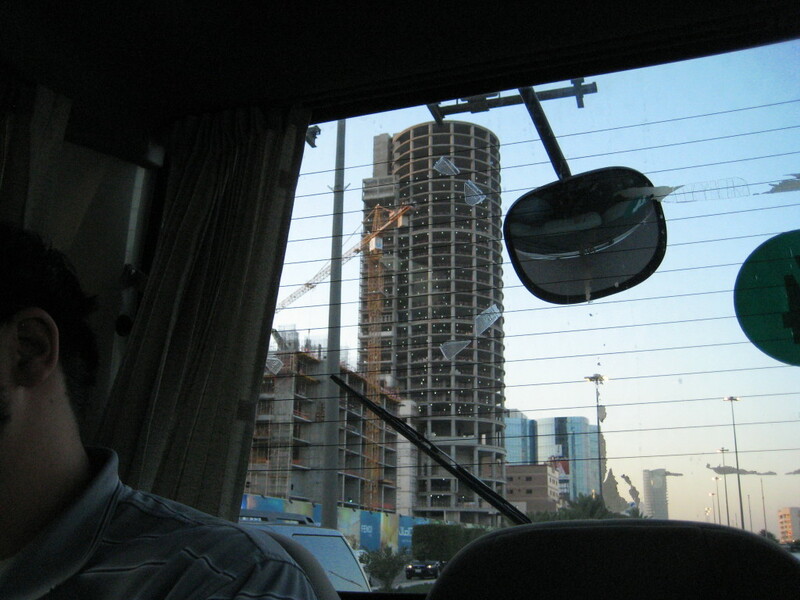 Others will become towering residential buildings, needed for Riyadh’s burgeoning population and growing size. Riyadh is one of Saudi Arabia’s fastest growing cities and its population is expected to grow even further, with some estimates calling for up to 8 million people living in the city in the 2030s. Today, Riyadh’s infrastructure is unable to handle the huge amounts of vehicles needed to transport such a large population. Traffic jams are common, a reality we experienced firsthand when stuck for nearly an hour in traffic as we made our way from the airport to the hotel. To solve this problem, Riyadh will soon begin yet another construction project: a massive public transportation system that will include buses and a new subway. According to its designers and advocates, who we talked to when visiting King Saud University, this new transportation system will significantly ease the amount of traffic on Riyadh’s roads once completed. As someone who has often had to suffer from long commutes and busy traffic, I’m sure that Riyadh’s population will be appreciative of this new infrastructure. 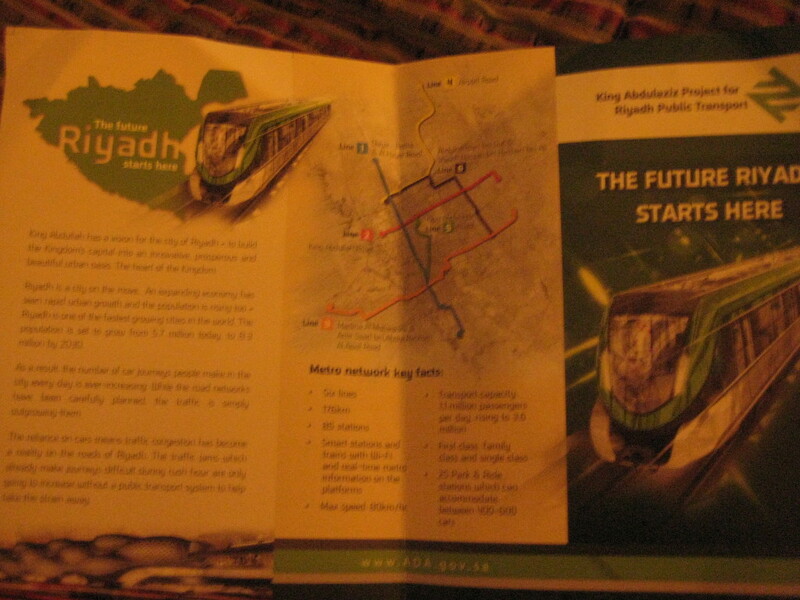 A brochure showing off the planned Riyadh public transportation system. Saudi Arabia’s building boom makes apparent to anyone who experiences it that the Kingdom is in the process of a major transformation. This land of desert is becoming a land of cities and urban sprawl, showing that Saudi Arabia is quickly entering a new period of modernity. Whether Riyadh’s rapid pace of construction and ambitious building plans will continue cannot be predicted, but it is clear right now that the Saudis’ have high hopes for their capital city. For an observer of the Saudi skyline, the cranes and scaffolding show that the Saudi economy is booming and that the Kingdom is on its way up, both figuratively and literally.